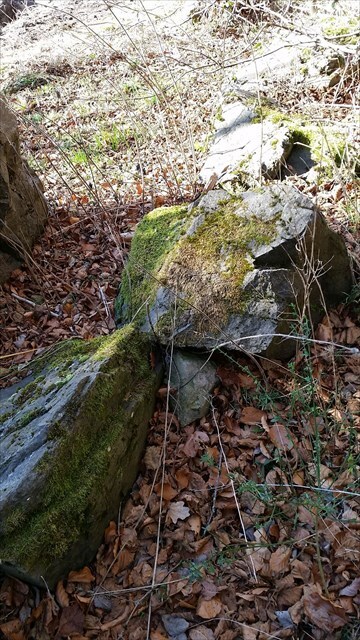 Le chemin des Muletiers vous permet de rejoindre le sommet du Puy de Dôme grâce à un sentier en lacets de 2,9 km. C'est l'ancien chemin qui, dit-on, conduisait les pèlerins au Temple de Mercure, dieu des voyageurs, des marchands et des voleurs. Le point de départ se situe au parking du col de Ceyssat à 1 078 m d'altitude. Il y a 7 caches traditionnelles qui vous attendent sur ce sentier ainsi que 4 traditionnelles et 1 earthcache au sommet. Sans prendre en compte le temps de recherche des caches, comptez 45 minutes pour gravir les 365 mètres de dénivelé qui mènent au sommet du Puy de Dôme. The path of Muletiers leads to the top of the Puy de Dôme thanks to a switchback way of 1,8 miles. It's the path which guided the pilgrims to the temple of Mercure, god of the travelers, traders and thieves. The starting point is located in the carpark of the col of Ceyssat. There are 7 traditionnal caches which are waiting for you on this path and 4 traditionnal caches and 1 earthcache at the top. Without take in count the time to search the caches, count 45 minutes to climb the 400 yard of difference of level which lead to the top of the Puy de Dôme.